There are only 60 seats available! We will sell out quickly. ACT TODAY! "I love attending webinars, teleseminars, summits, etc., because I love learning something new all the time. However, LIVE events are magical! When we can connect in person, there is a bond that is powerful. I like to keep my event intimate so that bond becomes even stronger. 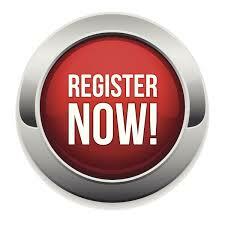 Register right away and receive a healthy discount for being a fast decision maker!" If you answered "yes" to this, then It is your turn to show up, take charge and make a difference! 3 CRUCIAL STEPS for allowing success in your life. Linda Binns is the Breakthrough Energy Expert. As an introverted, intuitive, empathic and highly sensitive person, she knows what it's like to feel different, to not fit in, and to work hard yet experience struggle. Once divorced, homeless, in-debt, and with nobody she could turn to for support, Linda is now a successful business owner, accomplished energy coach and author of multiple books. don't be the best kept secret... Market you today! marketing practitioner. With expertise in strategic marketing, public relations, digital and traditional advertising, and special events, she has worked with or for some of the world's most recognized brands including Universal Studios, Subway Restaurants, Nike Golf, the PGA of America, and the PGA TOUR. (President of the United States). interviewed by The Washington Post, Adobe's CMO.com, The Business Journal, PBS, USA Today, and several other media outlets. work as a speaker, coach, and consultant, Moret is now sharing her expertise and sage advice in a supportive, easy to understand, and yes, even a fun and invigorating way. Melissa Carver, "Coach Carver," is a successful, seasoned, and knowledgeable professional who will share her knowledge and success with you. Among her success stories - building 3 Top Tier Recruiting Firms across the U.S., currently "Law Tyme, Inc., having her own Talk Radio Show called "Carver's Edge", and authoring "Meet My Friend Max" (an Aspiring Entrepreneur); "The Three "L's" of Interviewing"; and now, "Foreplay to Success". Melissa has coached people who have the enthusiasm to start a business; helped people with an existing idea of starting their own business; assisted successful business owners; has a niche for working with Executives to step up their game, and has helped people start their own home based Business and/or Corporation to make their dreams become a reality. Best known for her leadership, teaching, and educating techniques, an ear to listen and assess any given situation with analytical ease, Melissa Carver is easily approachable, and is ready to meet and greet any challenge you may bring her way. Meet Melissa Carver, a Successful Corporate Business Owner, Speaker, Radio Talk Show Host, Author, and most of all, a Great Coach and Mentor! Patricia Noel Drain is the founder of the International Women Business Owners. She is the coaches coach, the business owners mentor and the speakers guide to success. She teaches coaches, authors, speakers, and entrepreneurs how to create products and programs with what they already know, then teaches them how to make profitable presentations so they enroll all the clients they desire. Patricia is the recipient of numerous awards but she is proudest of being named one of the most influential women business owners in AZ presented by the AZ business journal. The Power of FB Live! Jo Hausman is a highly energetic and passionate leader who is very driven. Her first book Go For It! A Woman's Guide to Perseverance obtained International Best Seller status after 3 weeks of being on Amazon. She is an international syndicated live radio show host, owner of Go For It! Media Group and national speaker. She loves to help people explode their business through finding media outlets to speak about what work they do. It is a joy to see you succeed through utilizing media! Jo's ability to relate to others from her personal story helps them to transform their lives in a positive manner. Her greatest joy in life is being a mom to her adult son Cody and her 2 fur babies. She is very active in her community and gives back through networking and volunteering in her church and community. She has appeared on numerous television, radio, blogs and podcasts around the world. She has an article published in Readers Digest and is a contributing blogger to HuffingtonPost.com. For more information on Jo you can go to www.johausman.com or for her weekly syndicated radio show. to make a difference in this lifetime. to have YOU be the star of the event. on how you plan to make a difference. With over 35 years as an entrepreneur, Susan understands the challenges of starting and running a business. It's all about health with Susan. Her discovery of the life changing business, Optavia, has truly been a blessing. As a health coach, Susan enjoys leading people into their own journey of achieving their personal goals. If you are ready to make a difference in your financial life, your lifelong health goals, and your mental wellness goals, don't miss the opportunity that Susan will share. Elizabeth Richards is an Independent Consultant with Rodan+Fields- the #1 skincare brand in the U.S and North America. She is a trainer in business development who helps people achieve their goals as it fits into their busy lives. Elizabeth is a Mom of two grown children, Andrew and Sarah, of whom she is most proud. If you have not attended one of Patricia's LIVE events you can't miss this one, it is going to be the most powerful of all. I attended the LIVE event at the AZ Broadway Theatre and all I can say is WOW! Run don't walk to attend the next LIVE event. I never miss one of these LIVE events, they are motivating, educational and life changing. As one of Patricia's HIM (highly intelligent men) I LOVE being unique at the Idaho women Business Owners events. Judy Krause, the QuickBooks® specialist, has over thirty years' experience in accounting and bookkeeping, helping business owners keep track of your money so you can stay on track for success. As a staff accountant with CPA firms, Judy specialized in accounting, bookkeeping, and tax prep for businesses. Then she worked as an accounting manager for several companies with annual revenues of up to $25 million. Judy is the founder of J.M.R.K. Enterprises, LLC, which provides business owners with customized bookkeeping support to fit your needs. Services include company set up, QuickBooks® instruction, and monthly bookkeeping services, which can even be done remotely on your computer if you prefer. Judy is a natural speaker and teacher who enjoys making QuickBooks® as quick and easy for you as it was meant to be. She is the author of Easy QuickBooks®, the most effective and affordable way to master your own books. You will walk away with YOUR 3 Word Message that is inspiring you to be excited about what you will contribute to this world while here on this earth. You will walk away with a group of supportive people cheering you on and supporting you in your life moving forward. Special Price - LIMITED TIME!